Alexander Gustafsson feels Jon Jones was able to neutralize him early in their rematch. Gustafsson and Jones competed for the vacant Ultimate Fighting Championship (UFC) light heavyweight gold last night (Dec. 29). The bout served as UFC 232’s main event. While their first encounter back in Sept. 2013 was an instant classic, Jones pretty much had his way the second go-around. “Bones” scored a third-round knockout victory. “I just hurt my groin in there, and Jon, he knew exactly what to do to stop my footwork and stop my movement and my flow, my distance. So he just made sure I couldn’t move anymore. That was it. He took me down and I couldn’t get up. He got me very, very early in the first round, very early, and after that I just shut down. I wasn’t tired. I had my conditioning, I felt good. I felt good, and we had our exchanges and everything, but he just shut me down very early in the first round and that was it, and I couldn’t move at all. 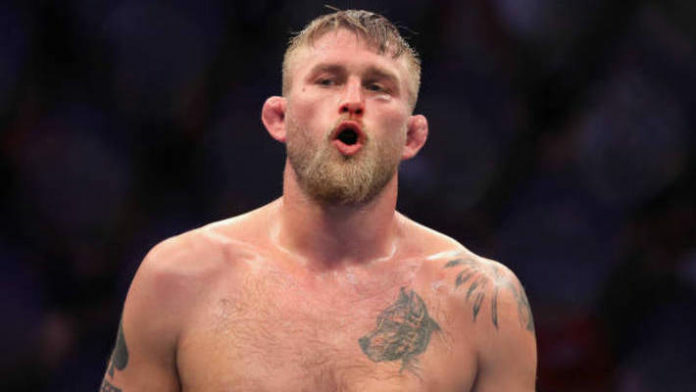 Where do you think Alexander Gustafsson goes from here?